Trump’s choice for Secretary of Labor, Andrew Puzder, is a millionaire fast-food chain CEO whose company has a long track record of labor violations. He opposes raising the minimum wage and supports repealing health care for millions of Americans. It’s clear that Puzder would put the needs of big corporations over working people and shouldn’t be allowed anywhere near the department in charge of enforcing our labor laws. Senator Susan Collins sits on the committee that will decide whether or not to send Puzder’s nomination out to a vote and she’s said that she is on the fence about whether she will support his confirmation. Let’s make sure she hears from us about why Puzder is the wrong choice for Maine workers. 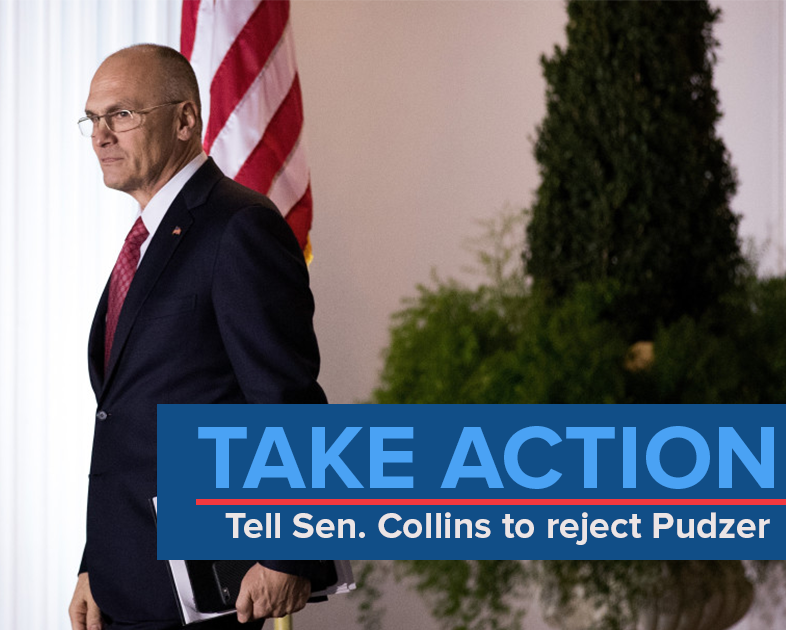 Send a message to Sen. Collins today urging her to reject Puzder for labor secretary.